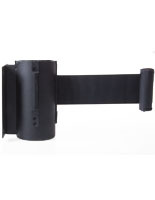 Update a worn barricade band on your QueuePole.Deluxe stanchion with this black crowd control belt. 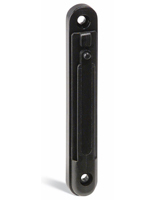 The cartridges are designed to be easily pulled out and inserted into compatible posts, requiring only a screwdriver to secure the retractable band cassette in the pole. 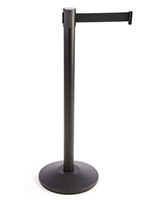 Once in place, this crowd control belt barrier can be used for various configurations, perfect for setting up a guidance system or barricade. 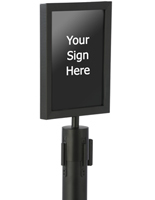 The retractable band measuring 9.5' in length offers versatility for any size space and event gathering. 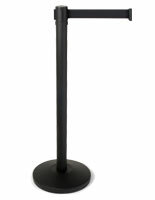 Discreet yet stylish in color, this unit coordinates well with any QueuePole.Deluxe stanchion, capturing your guests’ attention without clashing garishly with the event space. 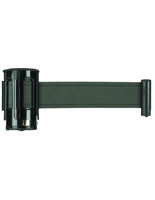 Create an efficient guidance system at your next event with this crowd control belt. 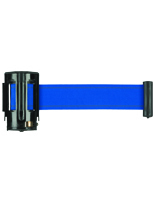 Please Note: This unit is a replacement belt for QueuePole.Deluxe Stanchions ONLY! 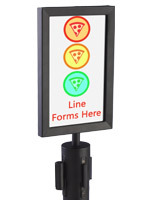 Cassette is not compatible with any other QueuePole Stanchions or crowd control options shown on Displays2go. These work great, they don't get tangled like some of the other belts. 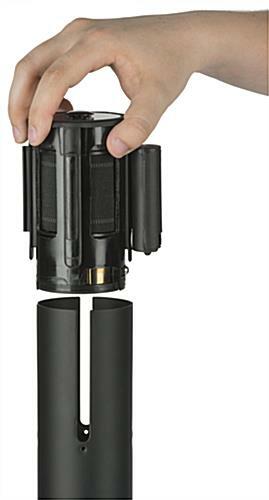 They clip into place and don't come off without pushing the button on the bottom.